We service all of Wisconsin and the UP of Michigan. Conveyor Integration Inc. has worked with many Wisconsin-based companies on various material handling projects. We represent companies that offer standard pre-engineered conveyors as well as companies able to custom design and build conveyors for a specific need. We sell several brands of belt, powered and gravity roller conveyors in addition to steel belt, screw, and vibrating conveyors for bulk material handling. We also sell scissors lifts and vacuum lifts for product handling. 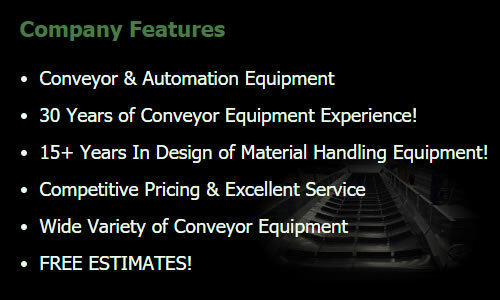 Conveyor Integration Inc. relies on 30 years of experience in the application of conveyors and 15 years of previous experience in the design of material handling equipment that will prove beneficial in solving your material handling complications. 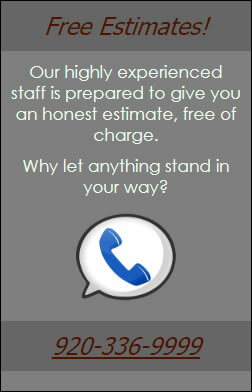 You will be pleased with our competitive pricing and our excellent service. • Free Estimates - Our team will go to your business, take the necessary measurements, and make professional recommendations absolutely free of charge. What do you have to lose? • Up-Front Project Management - It is our honesty, our consistency, and our firm belief in direct communication that has kept our customers returning to us time and again. • Competitive Pricing - Maybe there's a little bit more to the story of why our customers keep coming back than the way we manage our projects. It's because our prices are as great as our service. • Experienced Team - Boasting a combined 45 years experience in material handling equipment, we have the know-how to get the job done right every single time. • Wide Variety - We sell & furnish parts for most of the popular brands. • Custom Solutions - Your company deserves better than a product which meets your basic needs. In fact, we think you deserve every advantage you can get, which is why we will go out of our way at every opportunity to ensure that you get a high quality product that integrates smoothly with your existing systems. Copyright Conveyor Integration, Inc. All Rights Reserved. Website by Badgerland Marketing.